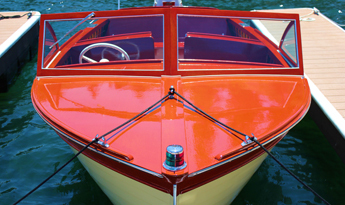 As a marina, it is the responsibility of your business to safely and securely store small and recreational boats. While you may feel completely prepared for any event or circumstance, there are many accidents and disasters that are out of your control. To protect the future and assets of your business, it is important that you invest in marina insurance. In Jacksonville, FL, Alliance & Associates Commercial Insurance Agency serves as a specialized marina insurance company. This means that we create unique coverage plans based on the particular needs and size of your marina facility. What is Different about Insurance for Marinas? 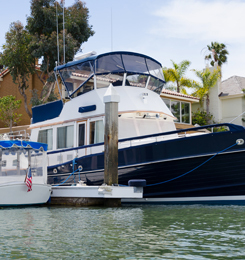 When it comes to marina insurance, you need coverage for your property, as well as the property of other boat owners. No matter what kind of budget you have, or what kind of payment plan you desire, we can help. Our insurance agency can meet the coverage needs of commercial businesses like yours. We as Alliance & Associates Commercial Insurance Agency have been around since 1990. This means that there are no other insurance professionals more qualified to meet your protection needs than us! As a marina insurance company, we will pair you with an insurance agent that can answer any questions or address any concerns that you have. We’ll keep you updated throughout the entire insurance process, ensuring your complete satisfaction and continued confidence. Any business can be held liable by employees or clients for the safety of their operations and the quality of their services. In order to maintain the ongoing success of your marina, it’s important you invest in protection should a claim be made against your business. Our insurance protection for marinas will help cover the damages for a wide number of claims, no matter what the circumstance. Do you have questions or concerns regarding our marina insurance? Don’t hesitate to contact Alliance & Associates Commercial Insurance Agency and learn more about our unique coverage plans! We provide insurance for marinas located in Jacksonville, Palm Coast, Lake City, Palatka, Gainesville, Orlando, and Tampa, Florida.